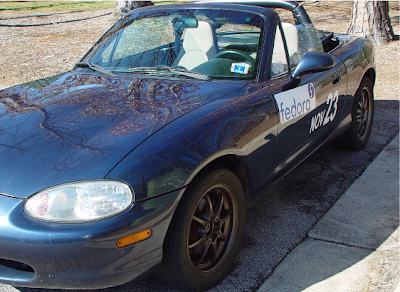 About 10 days ago, gregdek had a great idea that I should use my Bonnie car to promote Fedora at autocross events. With the next event only three weeks away, I immediately ordered some magnetic signs with Fedora artwork. Now all I need are a few dozen DVDs or live CDs of the latest release to distribute at the event, and we're all set! Guys, just wait till the event! 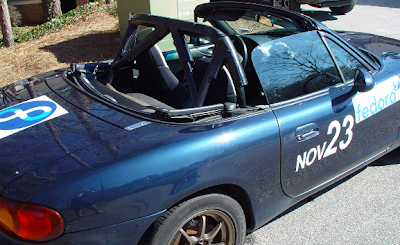 Actually, if anyone reading this is in the NC area and would like to take pictures, that'd be cool.